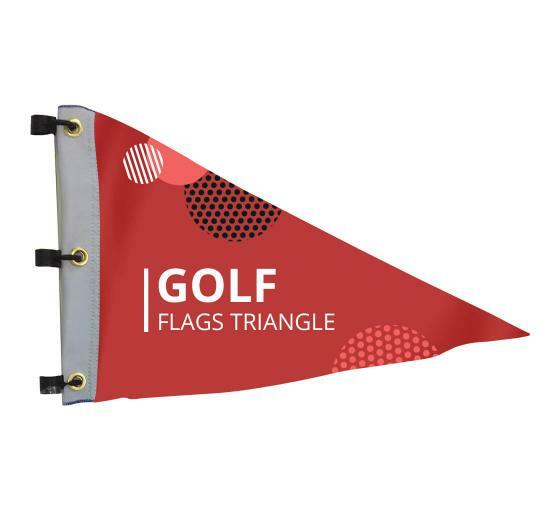 Use these custom golf flags for sale for indoor or outdoor marketing events, in-store promotions, or while sponsoring a charity event. The flag comes with a short pole that works as a great tool for setting up these flags just about anywhere, whether in a car, a tent or a booth. State of the art printing technology that ensures that the ink does not smudge. If used correctly, golf hole flags can be helpful in spreading the word about your business. These flags are made from a durable material that will weather any kind of outdoor conditions. Just display your logo and you will be able to use it for years to come, with no additional cost. With state of the art printing equipment, the turnaround time for printing Golf Flags is extremely short. The ink is sourced from reliable vendors and therefore, the golf hole flags come with a guarantee of not smudging.